Sock it to a New Year! Student Council would like to thank all the families who have already donated socks to our sock drive. 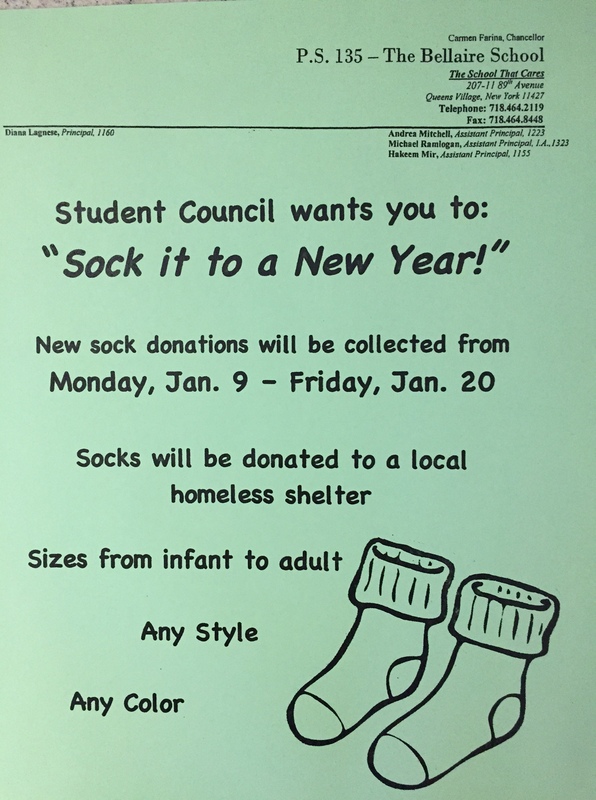 Student Council will continue to collect NEW socks this week. During the week of January 23rd, the socks will be donated to the local homeless shelter. Posted in Uncategorized and tagged #homeless, #homelessshelter, #shelter, #sock, #sockittoanewyear, #socks on January 16, 2017 by hmir3.